Immaculate and Bright, Move-in Condition Two Bedroom, Quiet, Top Floor Apartment with Garden Courtyard Views in desirable Scarsdale Manor. Spacious Entry Hall leads into Sunny Living Room. Brand New Kitchen with Stainless Appliances and Granite Counter Tops. Updated Bathroom. Newly Finished Hardwood Floors. Generously Sized Closets in each of the Two Bedrooms. Monthly Maintenance Fee includes Gas, Heat, Hot Water and Water. Maintenance Fee does not reflect Monthly Star Reduction of $133. Free Parking on Garth Road with Permit and additional parking on Greyrock Road behind building. Waitlist for Garage Parking and Storage. Eligible for Lake Isle Membership (Pool, Golf & Tennis). 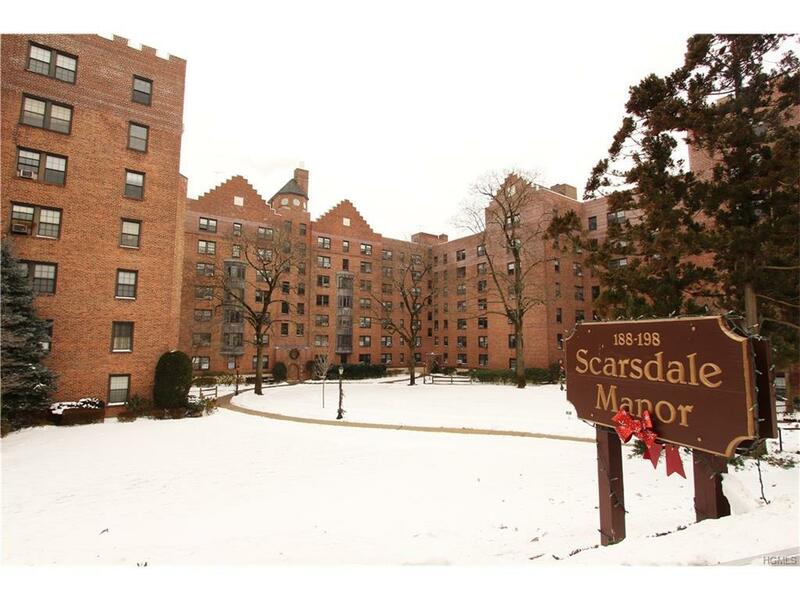 Short Walk to Scarsdale Train Station (30 minutes to Grand Central), Village, Shops, Restaurants, Park with Playground and Walking/Biking Trails. Listing courtesy of Diana Benincasa of Stetson Real Estate.